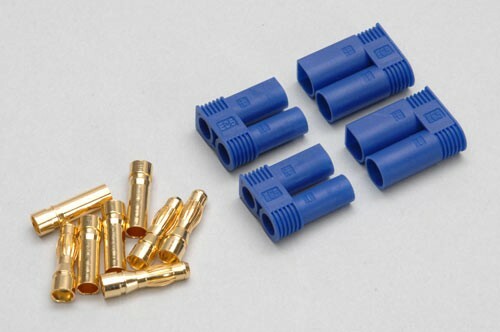 These EC5 connectors are sold as a pair, 2 x male and 2 x female. The EC5 connectors are a highly efficient, small and lightweight way of connecting a LiPo battery or another / battery power source to your RC plane, multirotor or any other RC projects. The EC5 is rated at a current of 120 amps, the connection made is easy to pull apart with ease and can take up to 10 AWG.